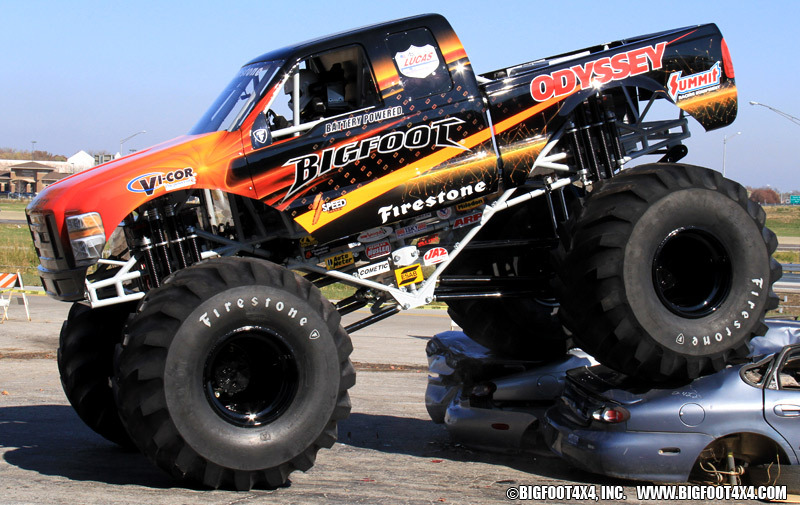 Bigfoot 4×4, the pioneering monster truck, has gone electric. 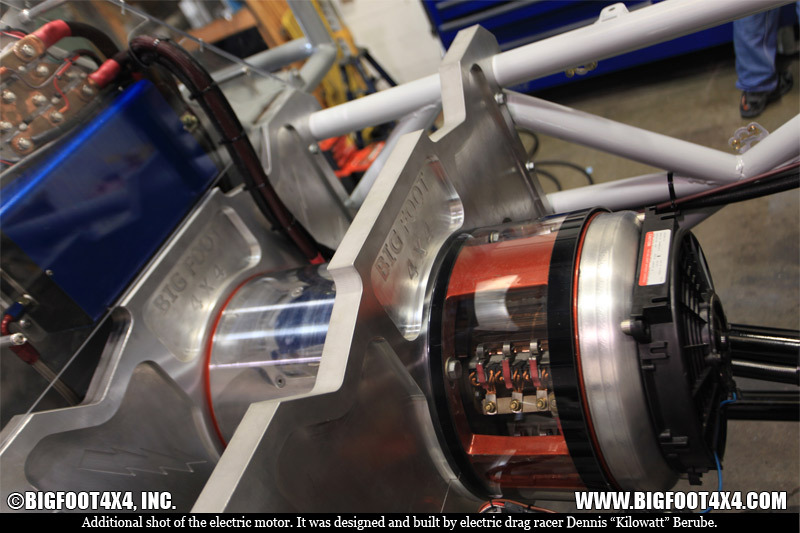 Bigfoot #20, the first-ever electric monster truck, drops the old methanol-burning V8 engine for a 260 kW electric motor delivering 850 lb-ft of torque. 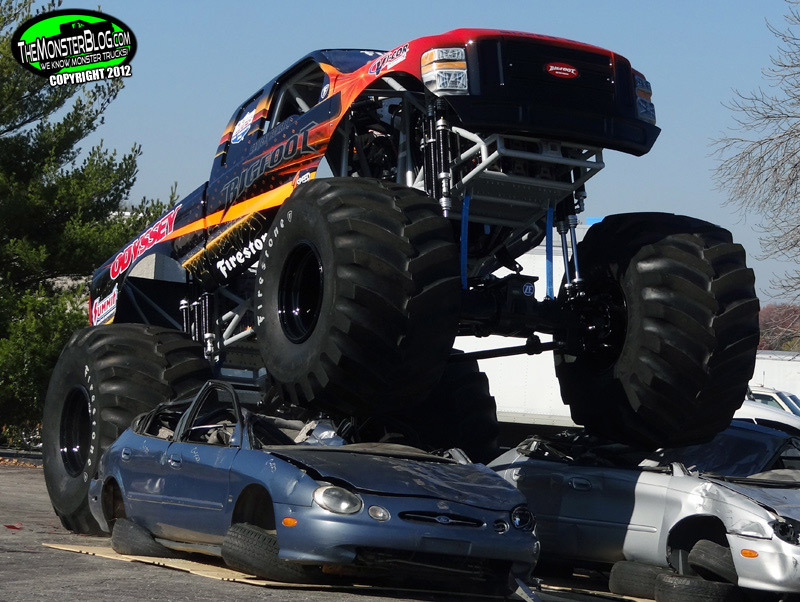 Monster trucks might seem like unlikely candidates for electrification, but they actually make a lot of sense. They don’t drive very far — so driving range is not an issue — and the shows are generally indoors, so fewer emissions would clean up the air for spectators. 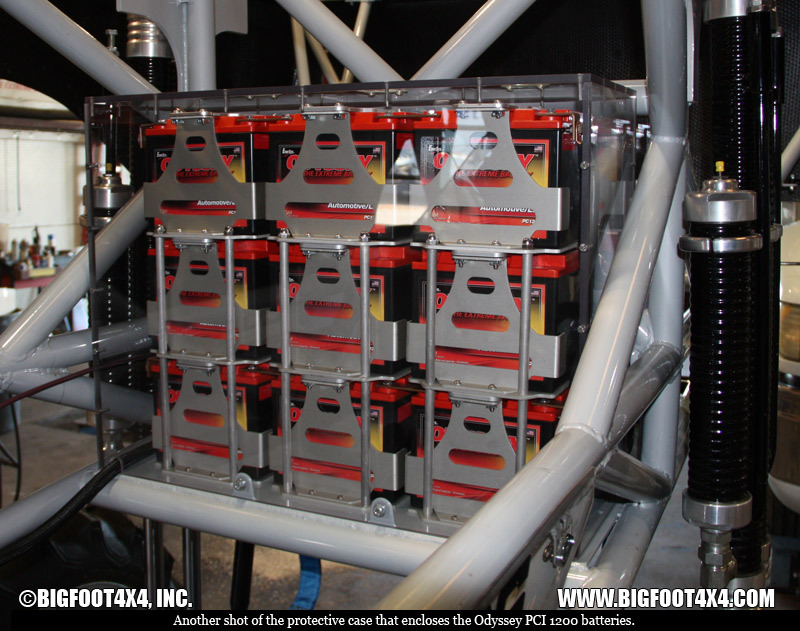 Unlike the latest electric cars on the market, which use advanced lithium-ion batteries, Bigfoot’s using 12V lead-acid car batteries. 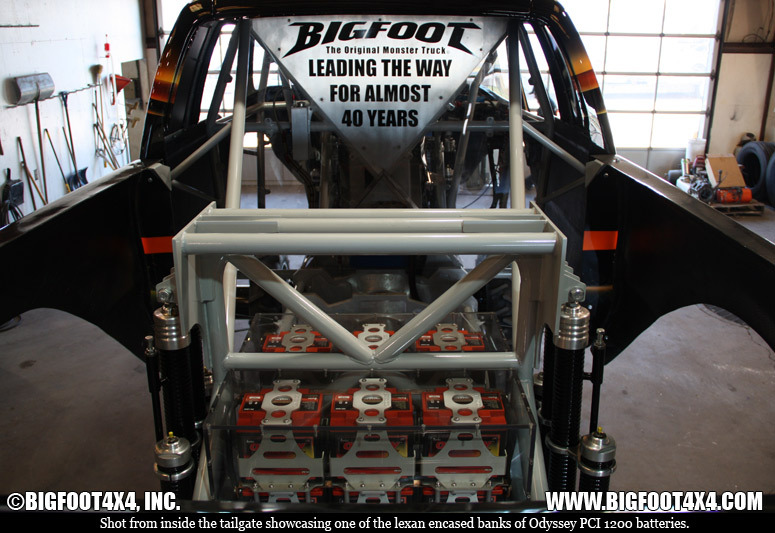 That’s because one of Bigfoot’s longtime sponsors is a lead-acid battery manufacturer, EnerSys, which provided the truck’s 30 batteries, totaling 360V. The batteries alone weigh 1,140 pounds. They’re also only rated at 400 deep-discharge cycles, but that shouldn’t be a problem because unlike EVs for consumers, these don’t need to last for a decade. 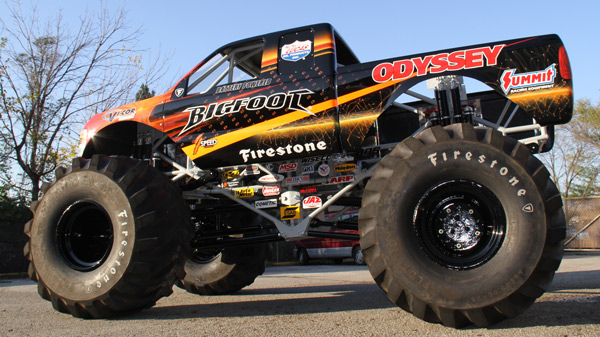 Bigfoot’s new truck has six additional batteries to run the steering system and brakes, and like all modern monster trucks, it’s a fully custom tube frame, with a fiberglass body on top. 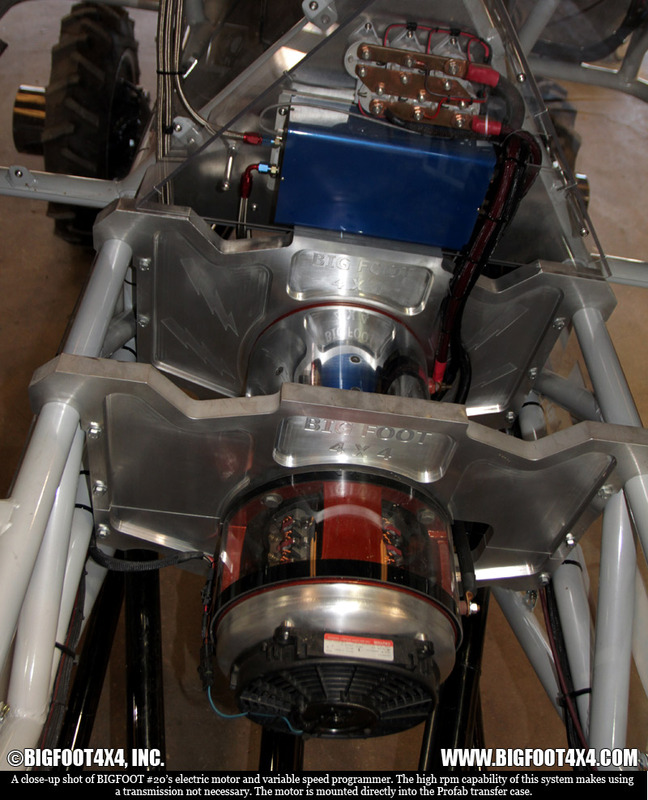 It has a ProFab transfer case, custom-built driveshafts, heavy-duty ZF planetary axles with internal wet disc brakes, monster truck standard 66-inch Firestone flotation tires mounted on 25-inch steel wheels, eight nitrogen-charged Knight Stalker monster truck racing shocks, and custom limiting straps to prevent over-extension. For now the Bigfoot EV will be used in displays and parades, but the company’s looking at performing public car crushes or even entering competitive shows with the new truck. If monster trucks are going to make the evolutionary leap to electric power, then who best to do it but the team that invented the sport almost 40 years ago?